ALL singers NOT returning next season: Please launder your MYC concert wardrobe and red polo, and return all items clearly labeled with your name to the MYC office. (No need to call ahead--if we're not here, items may be left by the office door.) Please turn in before May 31. Members of Purcell, Britten, and Holst NOT going to Scotland: We will need your current wardrobe for the Scotland tour. Please launder and return all concert items (khaki pants, Oxford shirt, tie, and blazer), clearly marked with your name to the MYC office before May 31. Do NOT return your red polo unless you are no longer singing with us. Members of Purcell, Britten, and Holst participating in the Scotland Tour: Please follow the special instructions for returning your wardrobe ASAP (was due by Wednesday, May 23). Instructions are included in the tour email delivered on Tuesday, May 15. Please help us choose the next Con Gioia conductor! We need your voice to make this possible. On Saturday, June 9 and Sunday, June 10, we'll be seeing the final candidates for this position. We need a group of singers to be the choir they'll work with those days. 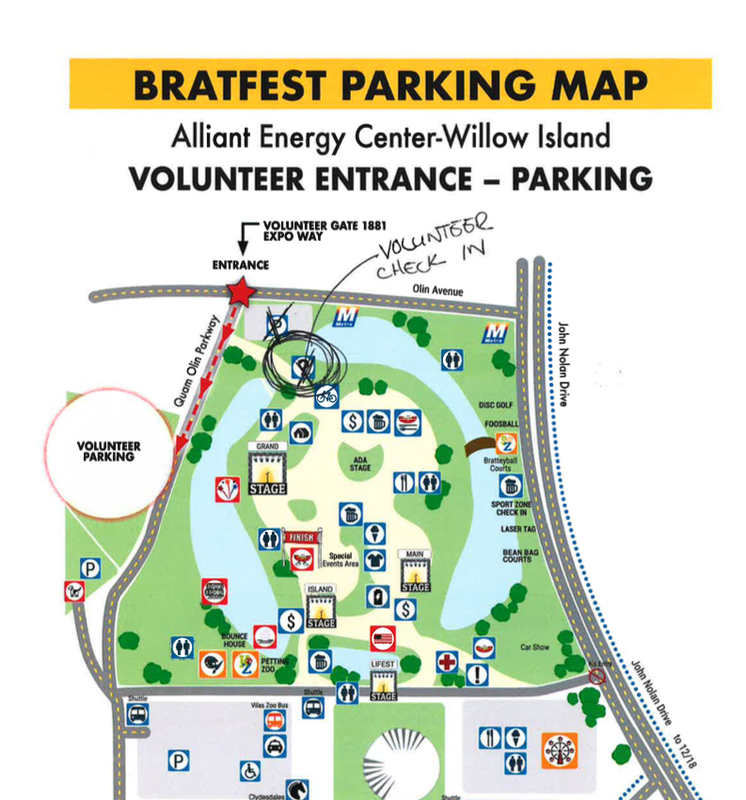 Brat Fest has provided the following parking information and map for volunteers: please park in the dog park along Quann Olin Parkway. The MYC office will be closed on Monday, May 28 for the Memorial Day holiday. Our summer hours will include shortened weeks in June with the office closing at noon on Fridays. In July and August, we will be closed completely on Fridays (with the exception of our Scotland rehearsal day on July 20.